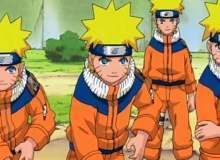 Which Naruto Jutsu is fit for you? Jutsu (, Literally meaning: skills/techniques) are the mystical arts a ninja will utilise in battle. To use a technique, the ninja will need to use their chakra. To perform a technique, the ninja will bring out and release the two energies of chakra. By forming hand seals, the ninja is able to manifest the desired technique. Because of the extensive number of hand seals and different combinations, there are thousands of potential techniques to be discovered. Depending on the difficulty or skill necessary to perform a technique, they are ranked differently. There are six different ranks in techniques: E-rank - Learned by Academy students. Are the basic and most fundamental techniques for all ninja. D-rank - Genin-level techniques. Can be achieved by all genin, though many ninja only learn their "type" of technique. C-rank - Chūnin-level techniques. Sometimes learned by genin who have trained extensively. B-rank - Jōnin-level techniques. Require high levels of chakra to use. A-rank - Kage or jōnin-level techniques. Require great control over one's chakra and may be forbidden. S-rank - Secret, extreme level techniques. Are typically unique to a single user. Kekkei Genkai and unique abilities normally do not have a rank.In this quiz, you are about to find out which jutsu is right for you. I hope you enjoy. To you, what is the most important part of your body? How does other people describe you? Which of these would you like to learn and master? If you could revive one of them, who would it be? Do you prefer to take your time in battle, or finish it as quick as possible? Will you be willing to sacrifice yourself for others? How often do you prefer to use your chakra? Which of these Akatsuki members do you find the most powerful? What do you often lack or not have at all in fighting? Do you want to learn jutsus that change a part of your body? No. I don't need to change my form just to use my jutsu.